No Rajini endorsement to 'Modi Sarkar'? 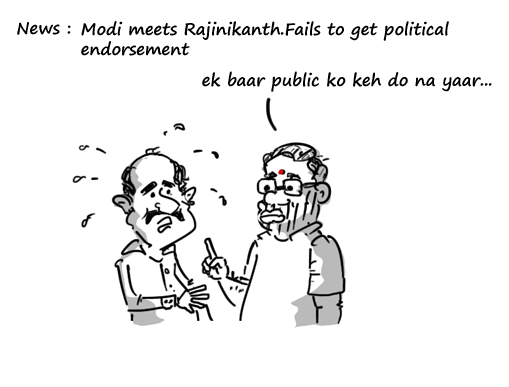 Modi’s meeting with Rajinikanth on Sunday hoping to get political endorsement from the Super Star did not work out that well. Rajini said this was not a political meeting and they are just well-wishers of eachother and that everyone knows he is strong leader without giving any indication of Modi being his preference for the PM candidature. 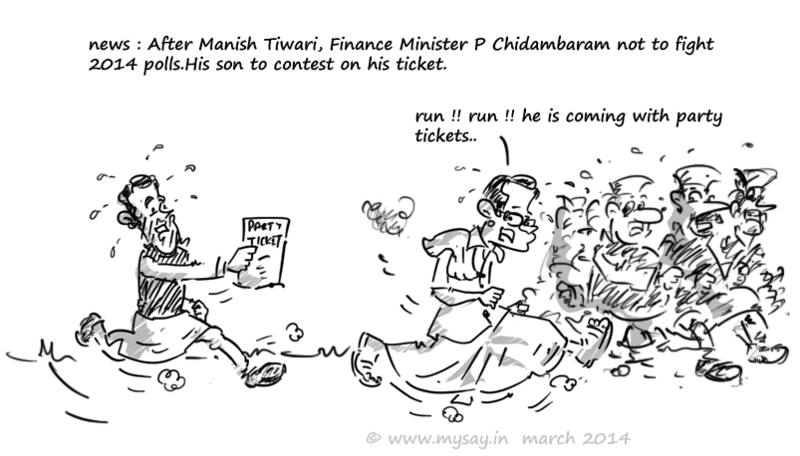 Politics not a Child's play ? Launching attack on newly formed political party AAP , Sonia Gandhi,the Congress President,in a rally said AAP thought running a government was a child’s play but ran away from Delhi. While AAP could easily retain its Delhi governance it chose to sight a reason of leaving the govt and did the same in 49 days. They were keen to pay attention towards 2014 General Elections. While the AAP came to power requesting people to SMS and suggest them whether they should make the Govt or not in Delhi.They never bothered asking the same public as to should they quit the Delhi governance and try their luck in General Elections. 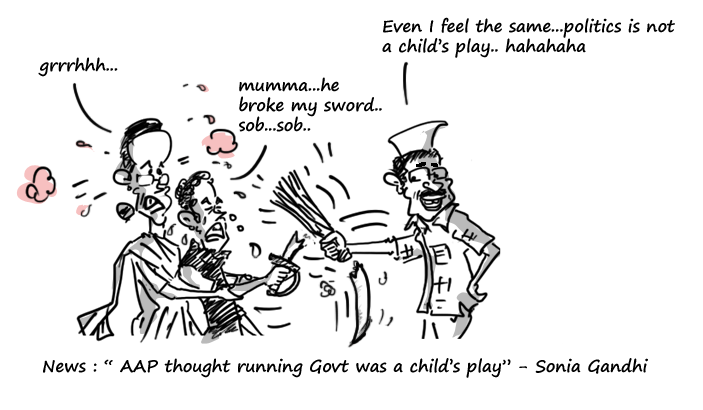 Is AAP really taking politics as a child’s play ?? Or is it that it was a well thought move to attempt Centre Politics leaving Delhi Arvind Kejriwal knew its ‘Now or Never’ if he wishes to make it real big in politics.